Sandwiches are a firm favourite of the people of Ireland, spanning the 32 counties. And what isn’t to love about them? It is a blank canvas to create a mouthwatering snack conjured up in your wildest dreams, wedged between a fluffy frame. Dublin is awash with bog standard corner shop delis who will do the work you should’ve done at home for double the cost. But thankfully there are some great glutenous gems cropping up – one in particular which you must try. Located on burgeoning Andrew Street, Dublin City Food is a relatively new establishment sandwiched (bah dum dum) within one of the most popular and trendy parts of the city around the design quarter of South William Street. Where there is a barrage of lunch-hour deals around these parts including many, many cafés and lunch spots spanning the length of South William Street.This is a place which should be included at the top of that list from now on, set a little apart from the competition. There is an intentional New York vibe to this place, with menus designed to look like letter boards as well as eat-in orders being served on red plastic trays shaped with sections for the various parts of the meal. What’s been camped up in your Eddie Rockets, and regarded retro in Hard Rock and Thunder Road, is not like DCF. It’s never corny, always cool and modern Americana served in a New York Minute. DCF take a theme and sail down the Liffey with it. 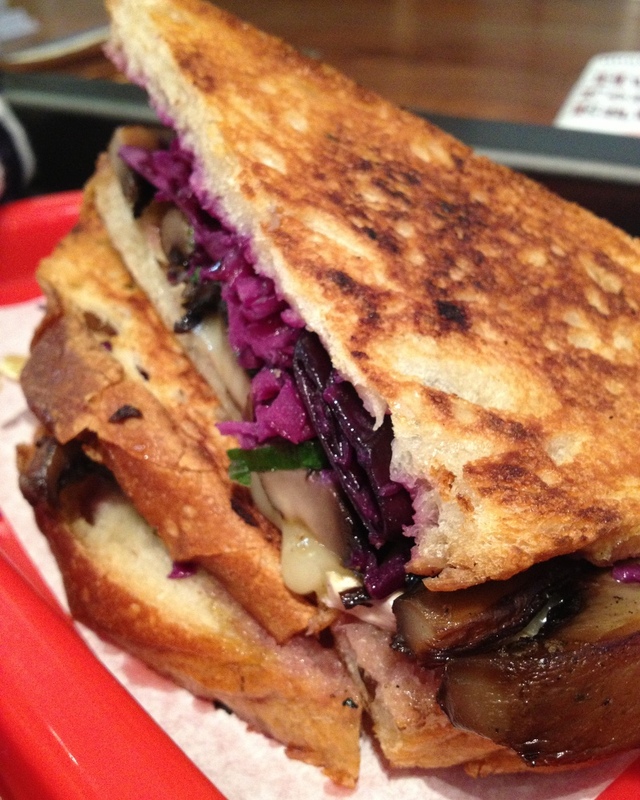 All sandwiches are named after an iconic area of Dublin. 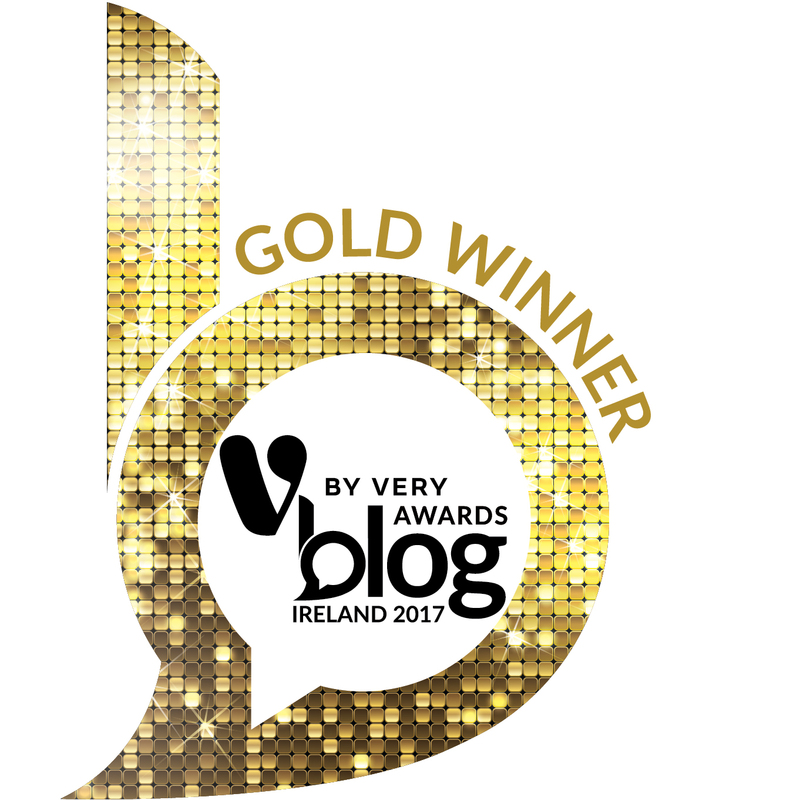 We’re not talking the touristic beacons of Temple Bar, O’Connell or Grafton Street. 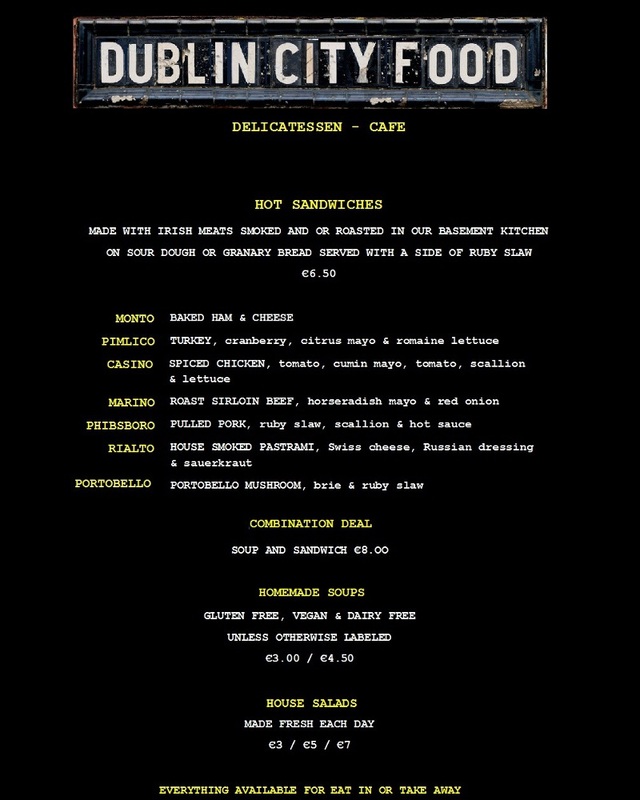 Sandwich titles include Monto (ham and cheese), Rialto (pastrami), Phibsboro (pulled pork) and Casino (spicy chicken). Funnily enough, there is a menu option for every area of the city ending in an o! For those more unfamiliar with some of these places, it is worth having a search online to find out the rich back story of each. 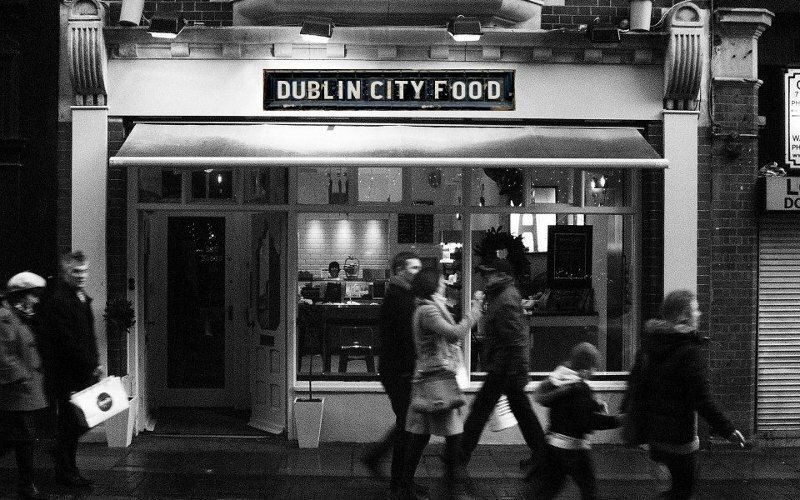 There isn’t a huge amount of room in Dublin City Food for diners. It is an oblong premises, with really only enough stools for a handful of diners at a time. Their intention is probably to encourage people to take lunch with a coffee to go, though we’ve managed to eat in the both times we’ve tried. 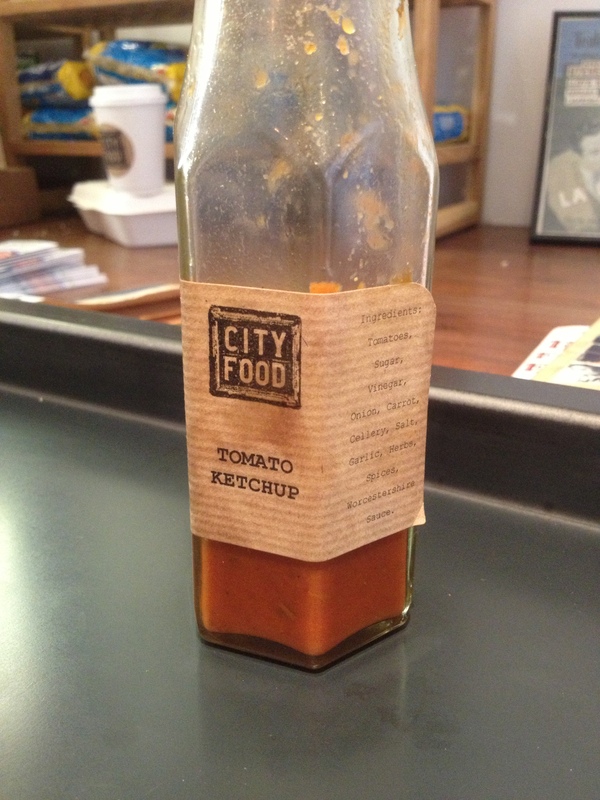 Dublin City Food also sells a number of sauces to buy for your home. The Tomato Ketchup was particularly nice! Both times we availed of the special €8 meal deal of a large take-out cup of homemade soup (two flavours on offer daily), a small side salad with a whopper toasted sourdough sandwich of your choice. 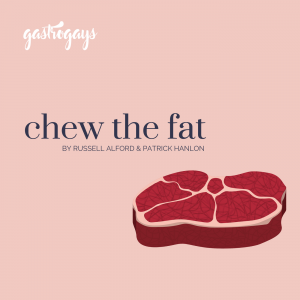 Patrick: First time I opted for the delectable Marino sandwich with it’s horseradish bite and silky rare roast beef. That day, I chose it with a parmesan and aubergine soup. 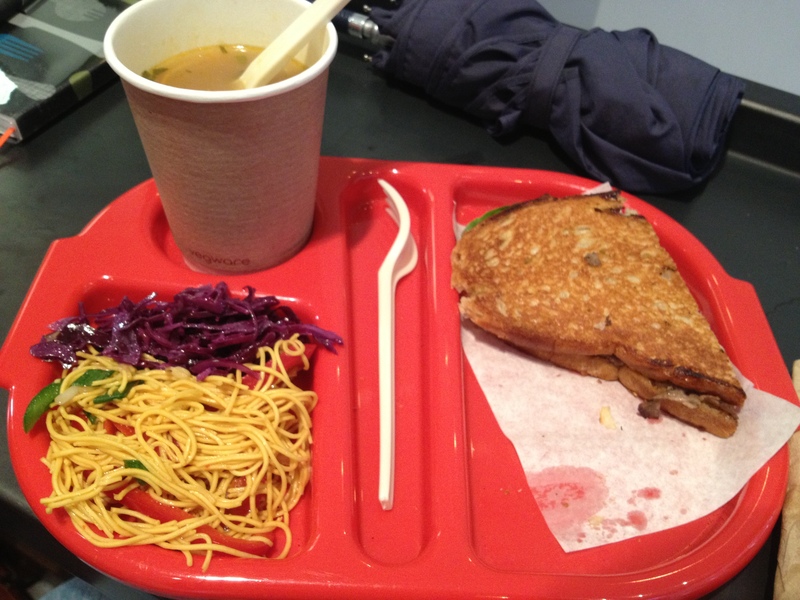 I was really pleasantly surprised at the amount of flavour a simple soup n’ toastie combo offered. Second time around, I went for the vegetarian Portobello (meaty mushroom, as a name like that would suggest) with melted brie and slaw, enjoyed with a turnip and wholegrain mustard soup. There’s few yeast-based things I yearn for and sourdough is at the top of that list. Pair this with interesting (yet refreshingly simple in a ‘I should have thought of that’ type way) soup flavour combinations and in my book you have me absolutely sold. While obviously a little greasier than an everyday lunch in my opinion, If I worked closer to DCF I would absolutely be torn daily as to whether to indulge or not. Russell: On my first visit to DCF, I ordered the Phibsboro, which was pulled pork with a ruby slaw and a tingly hot sauce. I too got the soup & sambo meal – ordering the Aubergine soup. There are rare moments in my life when I have gotten truly excited about a sandwich, but in this place was one of them. Each element of my order was just perfect. The sourdough bread was toasted with a great charring on both sides. There was enough of a filling inside it. I tend to find that in sandwich and burger joints, there is a tendency to make your dish twenty times bigger than your face, so this was a rare joy to be able to insert it into my mouth in one piece, literally. The small touches such as the mixed salad, featuring a gherkin which is a huge plus for me, really just make this eatery a step above similar places. The soup was super hot, but had such a unique and different flavour. 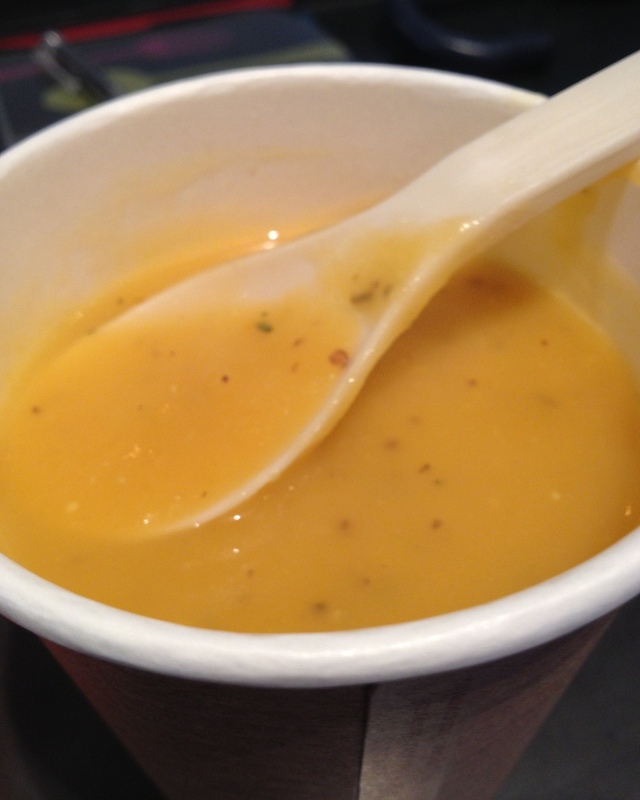 There seems to be a good rotation of the soup choices which means each visit will be a little bit different. 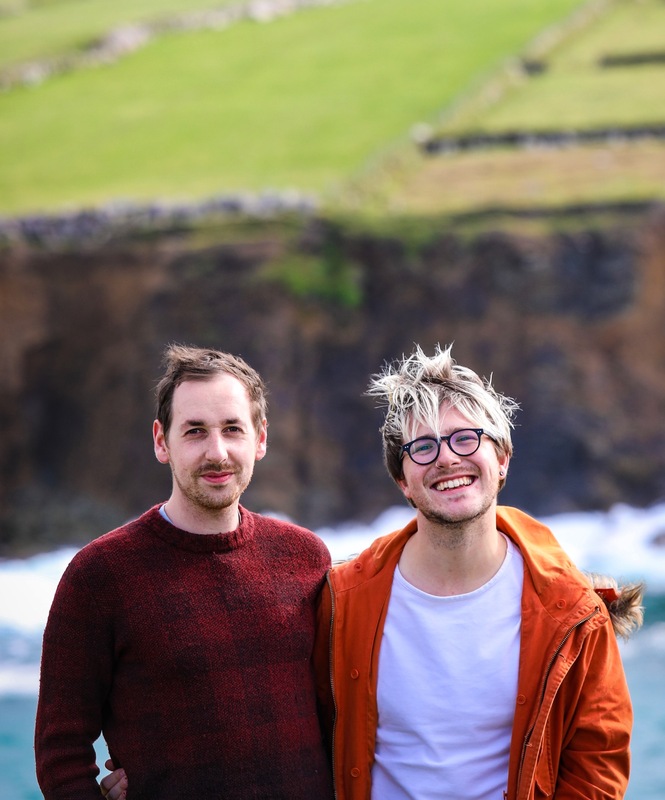 What is it: A café in Dublin’s cultural quarter serving New York style sourdough sarnies and soups, brunch on weekends and offering a modern Irish menu for dinner, full of worldly and other-worldly combinations and flavours as ‘Saint’. 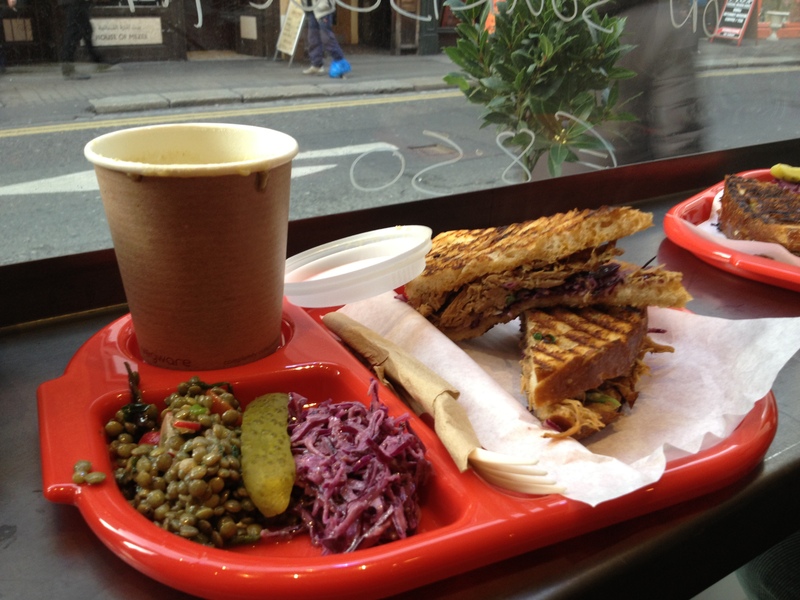 How much: Really cheap – especially when availing of the €8 soup and sarnie deal. Filling and even great to bring the soup (served in a take out coffee cup with handy lid) out afterwards to enjoy while strolling around town.